After released of WhatsApp Web for Android, WhatsApp Web took almost eight months to release WhatsApp Web for iPhone users due to Apple’s platform limitations. When first launched, it was only available for Android, Blackberry, and Windows Phone. WhatsApp Web allows users on mobile devices to continue their conversation through their web browser which is easier and super handy for those who use a computer regularly. However, this feature arrives to be rolling out to users in phases, so not all the iPhone users can get this feature at the same time. To find out if you have access to WhatsApp Web for iPhone, you may open WhatsApp on your iPhone and click on “Setting” tab. If you see “WhatsApp Web” in your Setting, means your iPhone able to activate the WhatsApp Web. 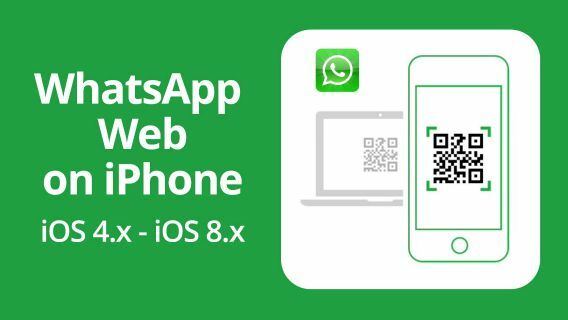 Now, head to web.whatsapp.com and scan the QR code appear on web by using WhatsApp on your device, and then it will begin pairing. Once done, it should be sync and your WhatsApp chat will appear on your PC/Laptop. Let’s start enjoy your chatting and read text on big screen when you’re seated and working.